Santa Claus rounded Sherman Avenue onto the Boulevard, greeting the children of Seaside Heights as he hopped off a borough fire truck and helped light the town’s Christmas tree. 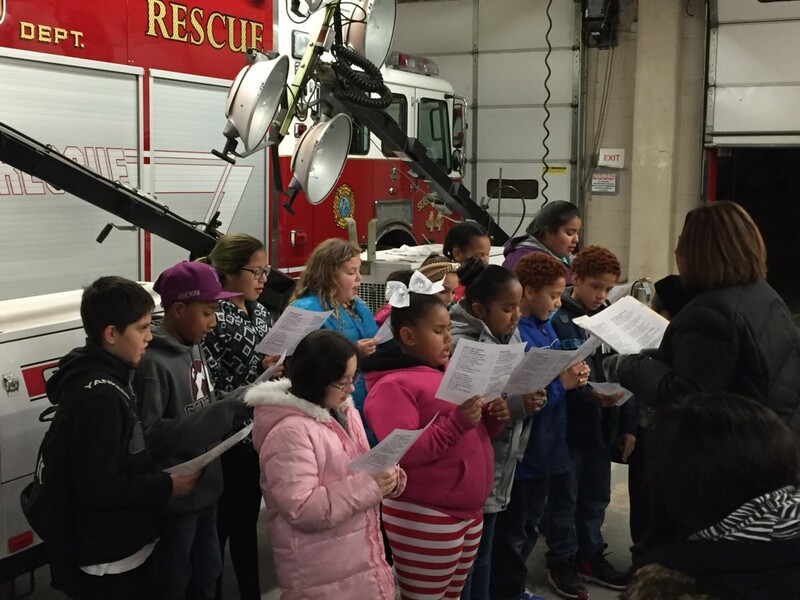 Seaside Heights kicked off the Christmas season with one of its newest traditions – the annual tree lighting, complete with caroling by the borough’s children and plenty of sweets afterward as kids lined up to list their Christmas wishes on Santa’s lap. “It brings the community together, it’s a very popular event and it’s a good time that we all have,” said Mayor Anthony Vaz. The well-attended event drew over 100 children and just as many parents. “There are plenty of adults and even more children and, of course, we do it for them,” Vaz said.